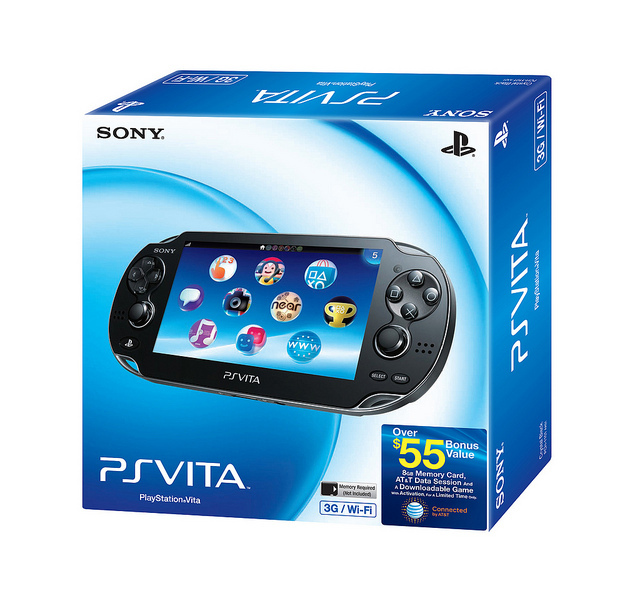 With less than a month to go until the launch of PlayStation Vita, Sony have announced two PS Vita 3G/WiFi bundles. If you were one of the lucky consumers to pre order the PS Vita First Edition Bundle, you will get all the bonuses previously announced, but Sony will also include an AT&T DataConnect Pass good for one free 250MB session, and a PlayStation Network game. Sony have also announced an extremely limited edition PlayStation Vita 3G/Wi-Fi bundle designed to reward those who brave the cold to stand in line on February 22nd (or even those who come in the few days that follow). In addition to the PS Vita hardware, Sony will be including an 8GB PS Vita Memory Card, an AT&T DataConnect Pass and a PlayStation Network game all for the usual MSRP of $299.